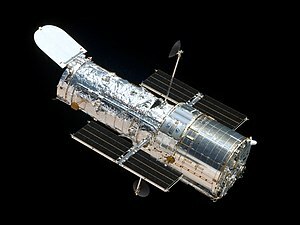 A few years ago, quite a few now I think about it, I got my wife a telescope for Christmas as she loves stargazing. It was more of a romantic gesture than a genuine belief that she would want to do astronomy in depth. Unfortunately a number of things have meant she hasn’t made a great deal of use of it (3 things, aged 5 and younger), but we occasionally get it out and look at the moon. I’d been meaning to have a go at astrophotography for a while, and earlier this year bought the necessary adapter to attach my camera to the telescope. I’ve finally got around to giving it a go. The photo of the moon above demonstrates that I should spend hours finely adjusting the reflecting mirror/lens on the telescope! 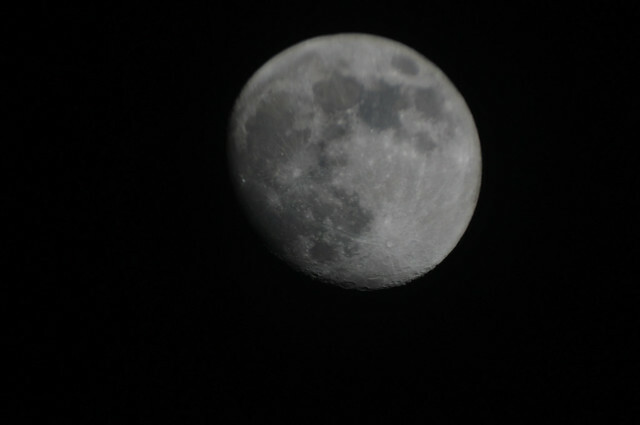 The bottom left is about as sharp as I would expect to achieve focusing manually using the telescope, but the top right I would have expected to be equally sharp. I guess there may be other reasons, such as atmospheric ones, but I think the telescope adjustment is the main issue. 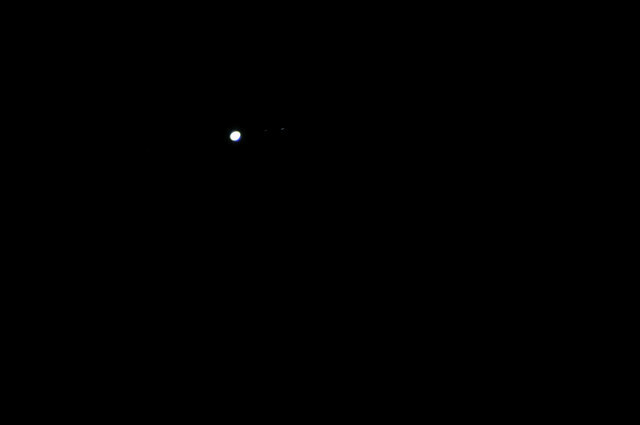 A handy app on my iPad told me where Jupiter was, and I was amazed to see three of it’s moons using the telescope we have. I think that is what they are. They didn’t really show up with this exposure, but with longer exposures, the vibration of the telescope with the wind meant Jupiter itself was pretty blurred. Also the over exposure of Jupiter was increase. Tricky thing this astrophotography. I tried some longer exposures to get more detail. In this image, I could see several stars by eye through the telescope, but over 30 seconds it is evident quite how much the sky moves. Or is that the earth moving? Or both? Interestingly, from a geeky perspective, there were a lot more stars visible in the raw photo if I cranked up the exposure in a bit of photo processing software, but only to the same extent as the noise in the image. 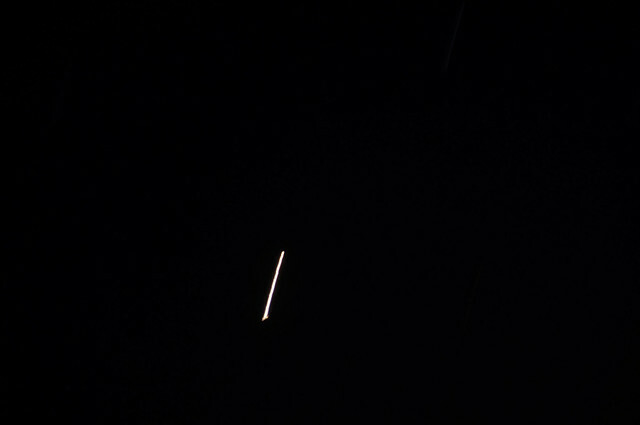 The only way you could tell they were stars is that they streaked across the image in the same way.